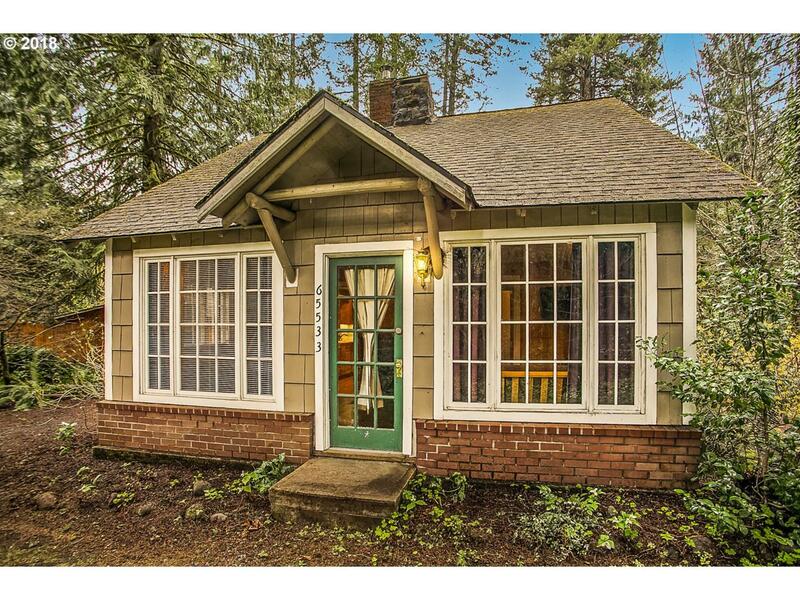 Vintage Cabin with Deeded Access to Sandy River! 1/2 Acre Lot with 2 Bed, 1 Bath Updated Cabin is likely a Steiner, per local expert. 690+/- sqft Shop/Game Room with Private Deck, Great for Entertaining, Office; Ready for a Future Bathroom. Plenty of Room for RVs, Toys, Parking with pull through drive; Bike & Skis can go in Secure Storage.